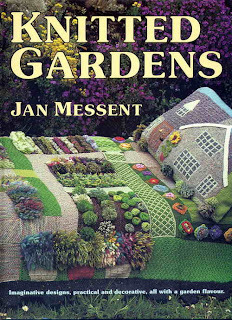 Yes, that is a bedspread featuring a full 3-D garden. When I first saw the cover, I simply said to myself: "Oh. My. God." I showed it to a few others back in the workroom. Their reactions: "Oh. My. God." Some of us discussed the possibility of yarn topiary. Using little, teeny tiny gardening shears. Posted by Doug A Scott at 7:12 p.m.
See, it's weird stuff like that that I miss about the library. March 9, 2007 at 7:31 a.m.